When you think about the first signs of ageing, most immediately think of crow’s feet around the eyes or a slight slackening of the skin around the jaw. The body, however, is just as subject to the effects of gravity and time and, because it often gets neglected, it ends up a lot worse for wear. Fortunately, while ageing is inevitable, we don’t have to embrace it fully. There are lots of things we can do to slow down the process and, if the first signs have already taken hold, there are many very effective actions we can take. Like we said, a lot of emphasis is placed on treating your face but don’t neglect your neck and décolleté that often take a beating thanks to sun damage and prolonged perfume application. How many times have you applied sunscreen to your face but left the house without wearing any on your neck and chest area? Thanks to the unprotected sun exposure, the application of perfume and not being treated to the same anti-ageing products you might use on your face, your neck is a prime target for premature ageing. The signs? Sagging, pigmentation, vertical neck bands and possibly even the development of a dreaded double chin or turkey neck. Fortunately, Skin Renewal can help you prevent and reverse with a skin tightening solution suitable for both your face, neck and chest. We’ve learned that the best way to tackle most conditions isn’t just with one treatment, but using two or more, to address the situation from multiple angles. This always delivers better results than what you would achieve with just one method. For this reason, we offer several different solution packages and our highly-skilled doctors and therapists can help you choose the one that best addresses the severity of your concern as well as your budget. 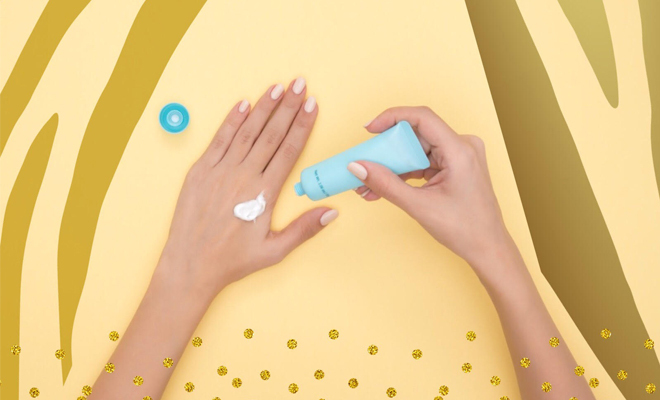 Our hands spend a huge amount of time exposed to collagen-degrading factors like UV rays and pollution and yet most skin care routines tend to ignore them. As a result, much like the neck and chest, they’re another of the first places on your body to show the first signs of ageing. These include pigmentation, thinning skin, enlarged veins and a bony appearance. To prevent haggard-looking hands be sure to protect them with a sunscreen that contains antioxidants whenever you set foot outside. If it’s too late, know that chemical peels can go a long way towards increasing your skin’s cellular turnover which improves its tone and texture. Other beneficial treatments include laser rejuvenation, skin needling and carboxytherapy which can all treat pigmentation and encourage collagen. As far as instant plumping goes, dermal fillers can be injected into areas that have experienced a loss of volume. Spider veins are the small tree branch-like vessels that tend to make an unwelcome appearance on our ankles, calves and thighs. There are lots of things that can cause them, and these range from our genes and pregnancy to vascular conditions like venous insufficiency. Then of course there’s ageing. This causes wear and tear on your vein’s valves which allows a little blood to flow back into them as opposed to travel to your heart. While they’re not dangerous, many people like to remove them for cosmetic reasons and that’s something Skin and Body Renewal does with ease using laser and light treatments like the CoolGlide Excel (a multi-tasking Nd: YAG laser) and Acutip 500 (a light-based treatment used for veins and sun spots). The machine that’s used will depend on the size of your veins and this is something your therapist will be able to assess. It’s a fact, as we get older, we’re more likely to experience more hair in the areas we don’t want to – places like our top lip or chin. You might also get to a point where, after years of having to shave, wax and pluck, you’re finally ready to embrace the brilliance that is laser hair removal, the long-term solution to unwanted hair, be it on your face or body. At Skin and Body Renewal we use cutting-edge laser as well as intense pulsed light to zap unappreciated hair on any skin type, from light to dark. It’s a myth that darker skins can’t benefit from laser hair removal. This was only the case in the past but now, thanks to ‘colourblind’ machines like our CoolGlide Excel, everyone is a candidate. Aesthetic treatments really can be special weapons when it comes to beating premature ageing and, in our experience, multiple treatments are always better than one. To learn more about the solutions available to treat the telltale signs of an ageing body, visit Body Renewal and or make an appointment to see one of our doctors and therapists. Together, we can help you look like the very best version of you for longer. This post was sponsored by Skin Renewal. We’re big fans of Skin Renewal’s non-invasive approach to beauty. Defy the clock. Book an appointment with one of Skin Renewal’s experts today. any suggestions on a really good hand cream that is affordable as well?